Family members of rapper and community activist Nipsey Hussle have spoken up about him following his murder. 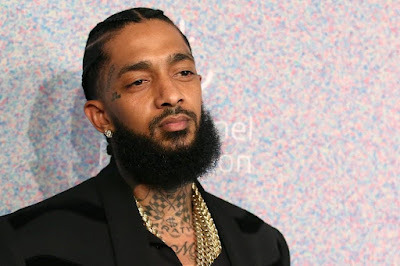 According to Los Angeles Times, Nipsey Hussle's family "have taken comfort in each other, huddling, as they have for years, at Hussle’s grandmother’s house in South L.A."
Hussle’s mother, Angelique Smith, paused in the middle of a story about how her son once hounded his school counselor to test him for the gifted program. "He recognized at an early age his own capability," she told The Times. "His own potential. He has always known." Lauren London, his girlfriend: "He was a protector and wanted us to be our best at all times. He was a truth seeker and truth speaker." Check Out Ciara's Multicolored Bikini In Rio de Janeiro Carnival In Brazil (Photos).